I was near by Un Caffe Bar at North Adelaide, so I gave it a go for lunch. 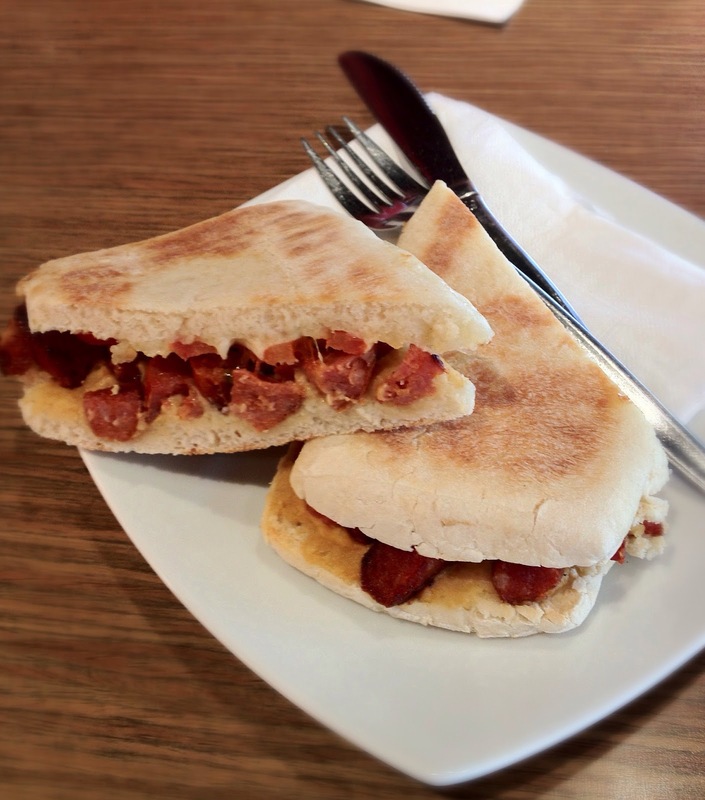 I had the chorizo focaccia, described as - spanish sausage, hummus, tomato & provolone cheese. The focaccia was nice, the chorizo wasn't chili hot, or overly fatty, and I loved the provolone, it was all soft and melted. The hummus wasn't strong, I may not even have remembered it was there until I reviewed the menu again, but the tomato gave necessary moisture. Good, quick easy lunch, relatively well priced compared to the other cafe's in the area.